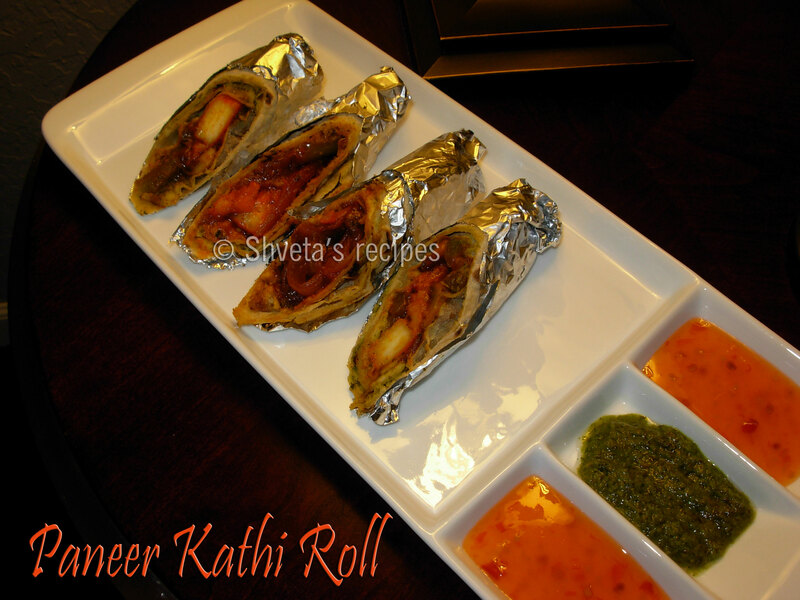 Paneer kathi roll is chapatti roll filled with spicy paneer filling and green chutney. 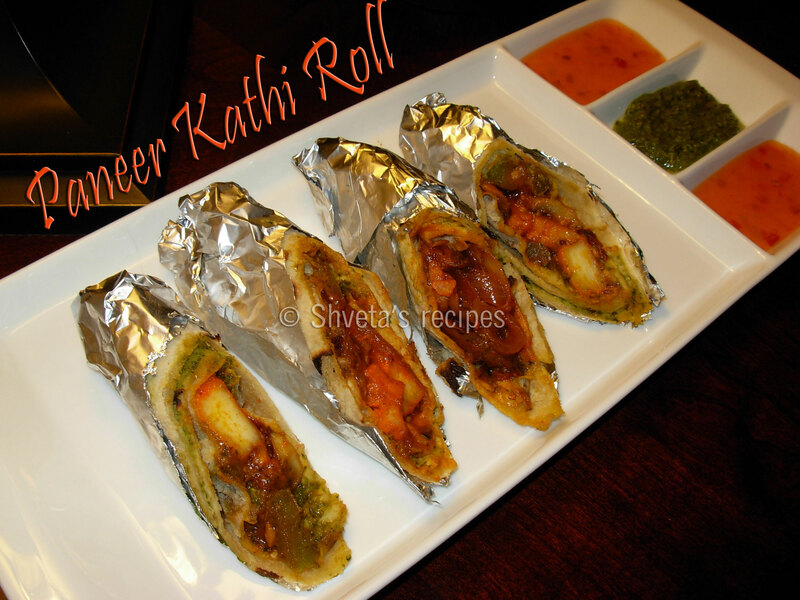 Kathi rolls are great for lunch boxes or picnics. 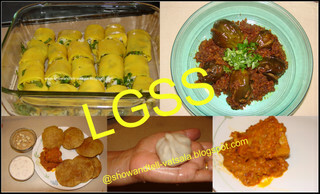 The filling can be altered according to your choice of vegetables. Enjoy this easy and versatile recipe. For Filling: Cut paneer in long sticks and soak them in medium hot water for 5 minutes. Heat oil in a pan. Add cumin seeds, when it starts crackling add sliced onions. Stir fry on high heat for a couple of minutes. Add ginger, garlic paste and green bell pepper and stir fry for couple of more minutes. Add paneer. Finally add tomato ketchup, chaat masala, red chili powder and salt. Mix well and keep aside. For chapattis or roti: In a bowl or food processor combine wheat flour and water and knead into soft dough. Divide the dough into eight equal portions. Roll out each portion into a thin chapatti or roti. Heat shallow pan or tawa and cook each chapatti lightly on both sides. Set aside. Apply green chutney on one side of the chapatti, put some filling in the center and roll up tightly. Warm these rolls on the tawa or pan just before you are ready to serve. Cut each roll diagonally and serve. Wrap these rolls in aluminum foil and enjoy these warm kathi rolls with hot and sweet mango chutney. Note: Fresh tortillas can be used in place of chapatties/rotis. Soak almonds, melon seeds, aniseed, poppy seeds and peppercorns in half of the water for couple of hours. Finely grind all the soaked ingredients, using little water. Tie this paste in a muslin cloth and extract the juices as much as possible. The extract is then mixed with milk, remaining water, sugar, saffron, cardamom powder and rose water. 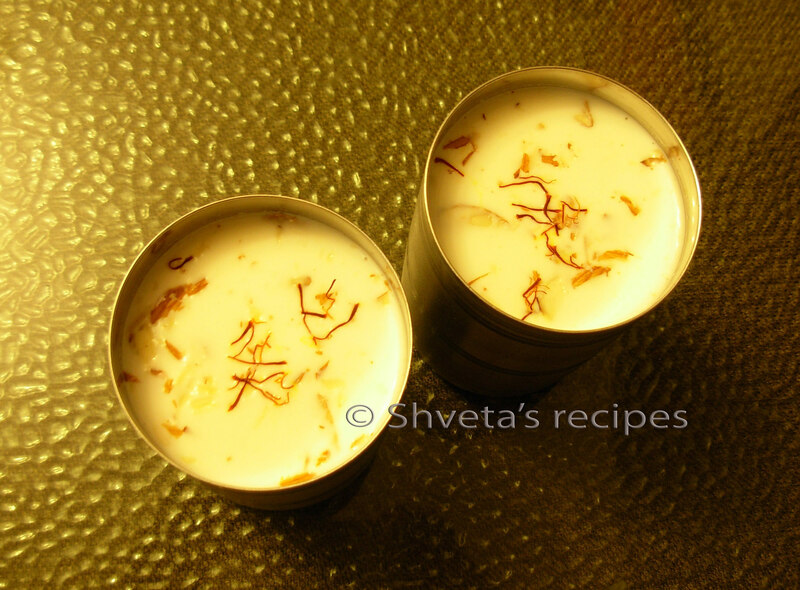 Enjoy this soothing chilled drink on Maha Shivratri, Holi or any summer evening. Wash dry chana dal a couple of times. Keep aside. Peel and cut Bottle guard (Lauki) in medium size cubes and keep aside. Pressure cook it with turmeric powder, salt and 2.5 cups of water for 10 minutes on medium heat. Now open the pressure cooker (when all the pressure is released), and add cut bottle guard (lauki) to it. Pressure cook the above for 10 more minutes. For tadka, heat olive oil in a pan. Add whole garam masala. Let it crackle. Then add chopped onions and sauté it, till turns light golden. Add ginger, garlic and chopped green chilies (optional). Cook for 2 minutes. Add chopped tomatoes, red chili powder, garam masala powder, coriander powder in the gravy and let it simmer for 5-6 minutes on medium-low heat. 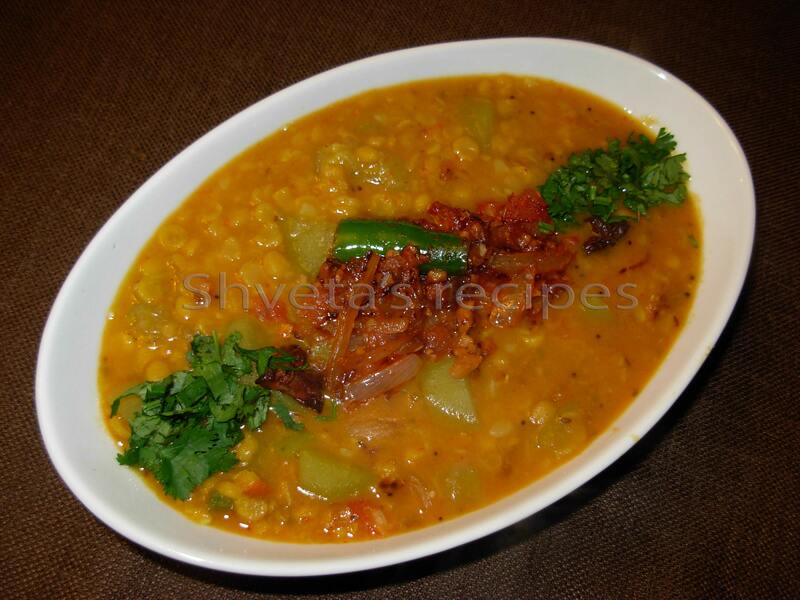 Add the tadka to the cooked chanadal lauki and add 1/2 cup water and simmer it on low heat 4-5 minutes. Finally, add kasoori methi and let it simmer for 2 more minutes. 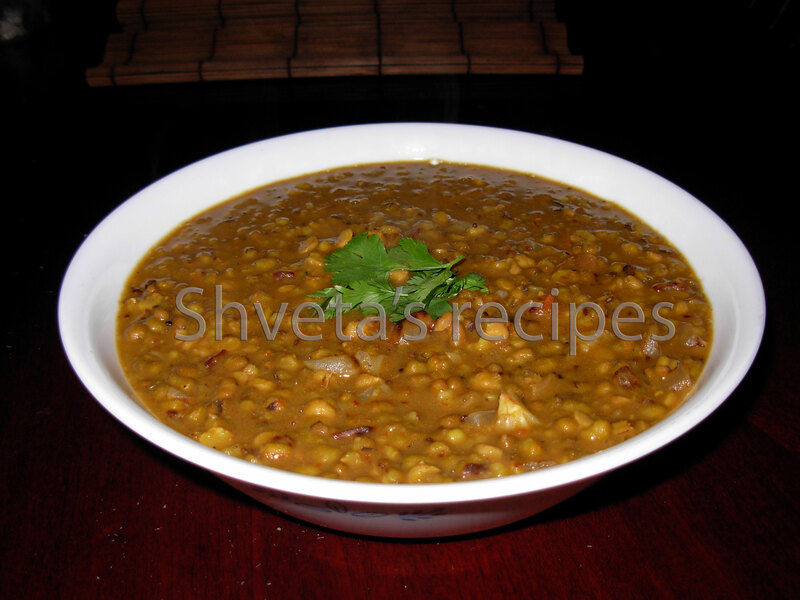 Garnish the Chana dal Lauki with freshly chopped cilantro and serve with halved lemons. Enjoy with fresh naan, paratha or steamed basmati rice. This healthy salad can easily replace your lunch. It looks appetizing and tastes great as well. Kidney Beans: A cup of cooked kidney beans provides 45.3% of the recommended daily intake for fiber. Kidney beans are an excellent source of the trace mineral, molybdenum, an integral component of the enzyme sulfite oxidase, which is responsible for detoxifying sulfites. Just one cup of cooked kidney beans supplies 177.0% of the daily value for molybdenum. In addition to lowering cholesterol, kidney beans’ high fiber content prevents blood sugar levels from rising too rapidly after a meal, making these beans an especially good choice for individuals with diabetes, insulin resistance or hypoglycemia. Black eyed beans: Like most beans, black-eyed beans are rich in the best sort of fiber – soluble fiber – which helps to eliminate cholesterol from the body. They are a good source of folate, potassium, copper, phosphorous and manganese. As a high-potassium, low-sodium food they help reduce blood pressure. Not only are they low in fat, but when combined with grains, beans supply high quality protein which provides a healthy alternative to meat or other animal protein. Beans also contain protease inhibitors which frustrate the development of cancerous cells. Soak all the beans overnight in the separate bowls. Next morning, boil kidney beans and keep aside. Now boil black-eyed beans, butter beans and green peas together. Keep aside. For salad dressing, In a bowl, add extra virgin olive oil, lime juice, crushed garlic and all the dry ingredients. Whisk together for a minute. Dressing is ready, keep aside. Thaw frozen corn kernels in microwave for 2 minutes. In a covered sauce pan, cook the fresh or thawed corn kernels for 5 minutes. Cool it down. Chop sweet onions, tomatoes and cucumber finely. Clean and chop cilantro finely as well. 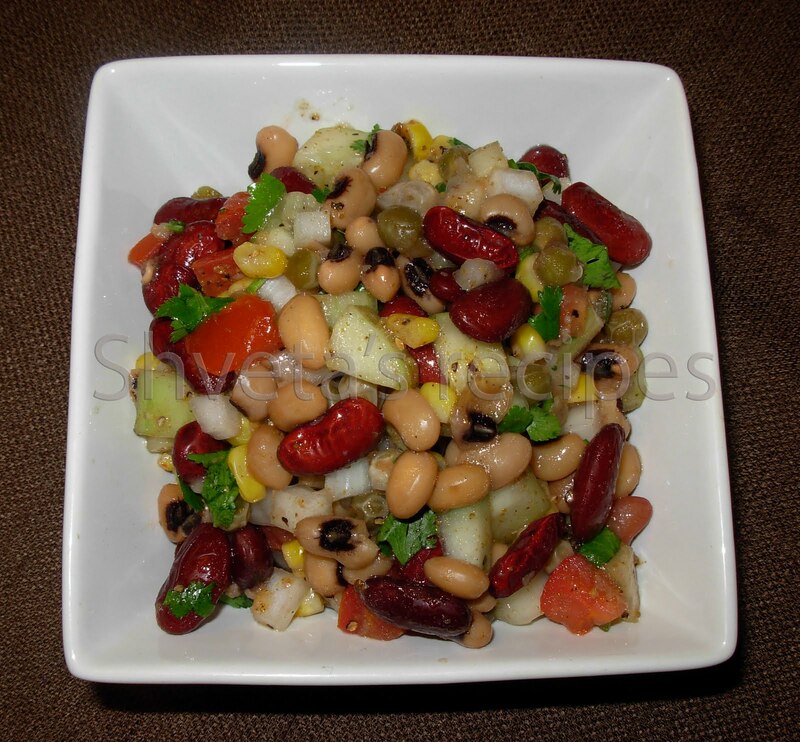 In a salad bowl, add boiled kidney beans, black-eyed beans, butter-beans, green peas, cooked corn kernels, chopped sweet onions, cucumber, tomatoes and cilantro. Now prepared salad dressing to the salad. Mix salad gently. Serve chilled. Prepared salad can be stored in the refrigerator for 3-4 days. Serve fresh with any meal or just as an anytime snack. Pulaos are great addition to any meal. It can be served with Lunch/Dinner or as Lunch /Dinner on its own. Aromatic Soy pulao is healthy and rich in nutrients. Nutritional Facts: Soybeans are considered by many agencies to be a source of complete protein. A complete protein is one that contains significant amounts of all the essential amino acids that must be provided to the human body because of the body’s inability to synthesize them. For this reason, soy is a good source of protein, amongst many others, for vegetarians and vegans or for people who want to reduce the amount of meat they eat. 1. Soak the rice in water for 1 hour. 2. Cook the rice with 2 cups of water and 1.5 cups of milk. Let the rice cool completely or let it sit in the refrigerator for couple of hours after cooking. 3. Soak dry soy chunks in warm water with some salt for flavoring, for 10-15 minutes. After the chunks are all puffed up, drain them and rinse with fresh water one more time. In a pan, heat 1 tsp cooking oil and sauté the soy chunks for 3-4 minutes. Drain and keep aside. 4. Heat a pan and add oil and ghee. Briefly sauté cashews, raisins, almond slices and walnuts and keep aside. Sauté sliced onions, potatoes and peas for 3-4 minutes and cover them till potatoes and peas are done. Keep aside. 5. Now in the same pan with oil and ghee, add cloves, cardamom, cinnamon, bay leaf and ginger-garlic paste. Sauté for 3-4 minutes. 5. Add cooked rice carefully and mix well. Add fried soy chunks to rice. Now add fried onions, vegetables and nuts to it. Also add salt, garam masala and red chili powder to it. Mix well. 6. Add remaining ½ cup of milk to pulao. Keep the pulao covered on low heat for 7-8 minutes. 7. 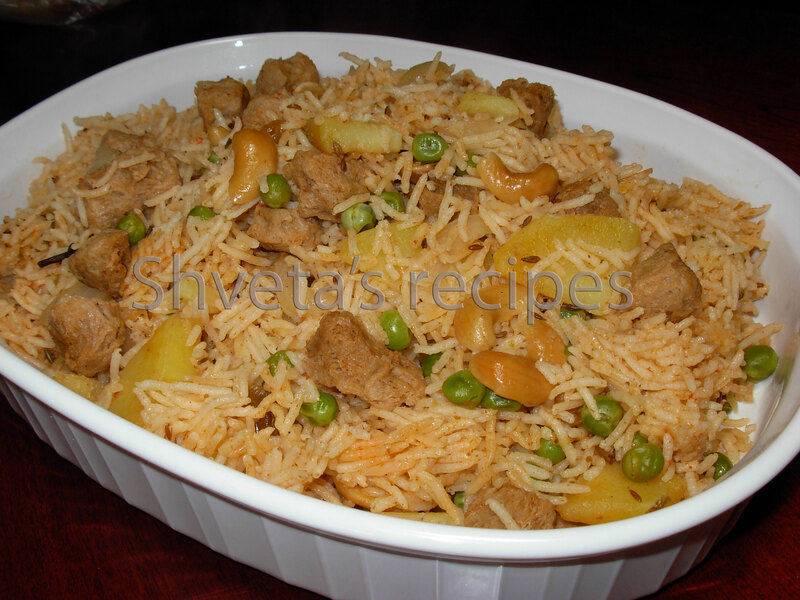 Aromatic and delicious soy pulao is ready to serve. Enjoy Nutrela soy pulao at any meal time with raita and pickles. 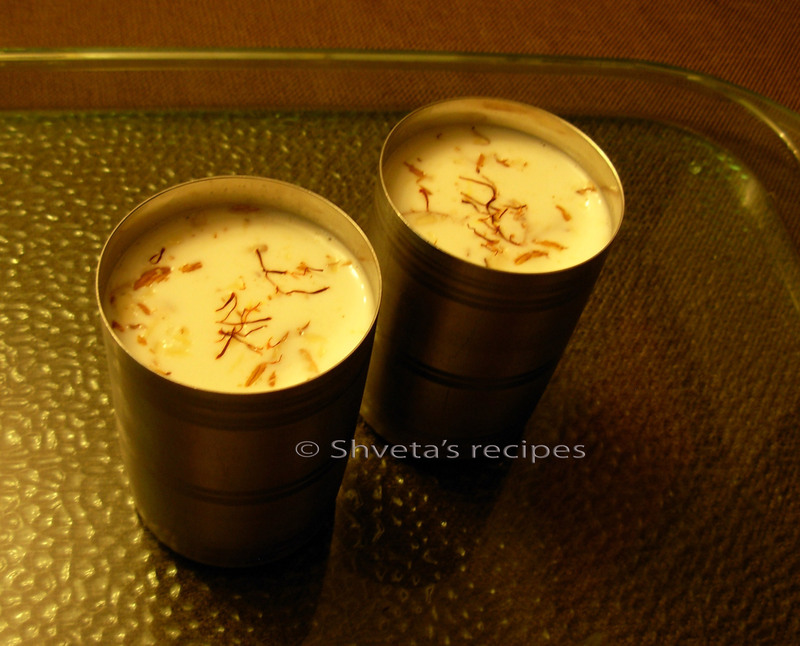 I have tasted this recipe in Indian wedding menus, especially in central province [Madhya Pradesh]. This recipe calls for fresh green chana but frozen is fine too. Green chana is rich in protein and high in flavor. It can be cooked dry or with gravy, here I’m suggesting the gravy version to go with flavorful basmati rice or Paratha/Roti. Hara Chana has a great combination with potatoes, which makes it kids friendly too. Wash dry fresh or frozen hara chana a couple of times and keep them aside. For gravy, heat olive oil in a pan. Add whole garam masala. Let it crackle. Then add pureed onions and sauté it, till turns light golden. Add ginger paste, garlic paste and chopped green chilies (optional). Cook for 2 minutes. Add tomato puree, turmeric powder, red chili powder, garam masala powder, coriander powder in the gravy. Add cashew powder to the gravy and let it simmer for 5-6 minutes on medium-low heat. Peel and cut potatoes in medium size chunks and keep aside. 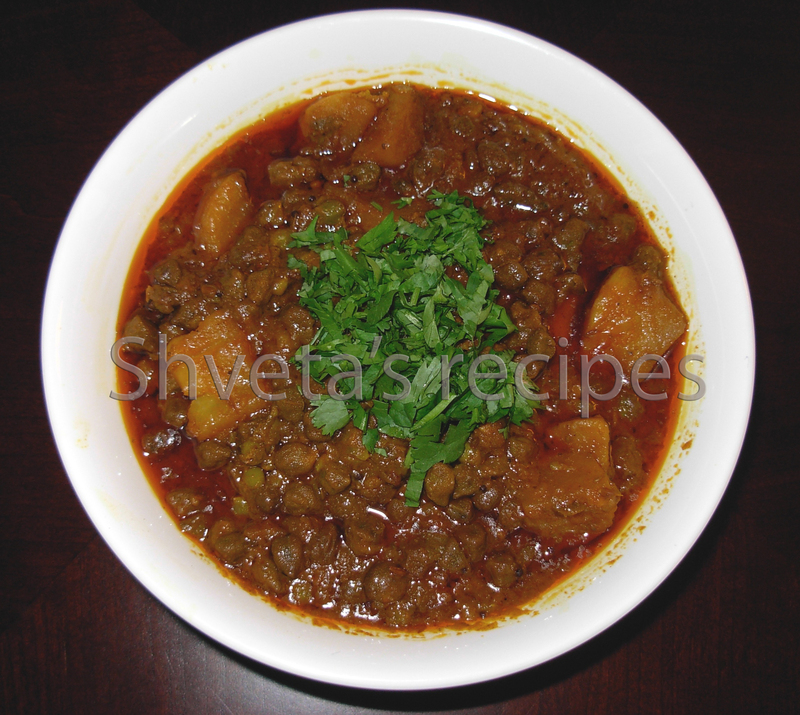 In the pressure cooker add washed hara chana, potatoes, prepared gravy, salt and 1.5 cups of water. Cook it for 15-20 minutes on medium heat. Finally, add chana masala and kasoori methi and let it simmer for 2 more minutes. Garnish Hara chana with freshly chopped cilantro and serve with halved lemons. One of the most often cooked dish in my kitchen. It is super healthy, nutritious and tastes good. 1. Wash dry moong and chana together a couple of times. 2. Pressure cook it with turmeric powder, salt and 6 cups of water for 30 minutes on medium heat. 3. For tadka, heat olive oil in a pan. Add whole garam masala. Let it crackle. Then add chopped onions and sauté it, till turns light golden. Add ginger, garlic and chopped green chilies (optional). Cook for 2 minutes. 4. Add chopped tomatoes, red chili powder, garam masala powder, coriander powder in the gravy and let it simmer for 5-6 minutes on medium-low heat. 5. Add the tadka to the cooked moong- chana and add 1 cups of water and simmer it on low heat for 10 minutes. 6. Finally, add kasoori methi and let it simmer for 2 more minutes. Garnish the Moong-chana dal with freshly chopped cilantro and serve with halved lemons.